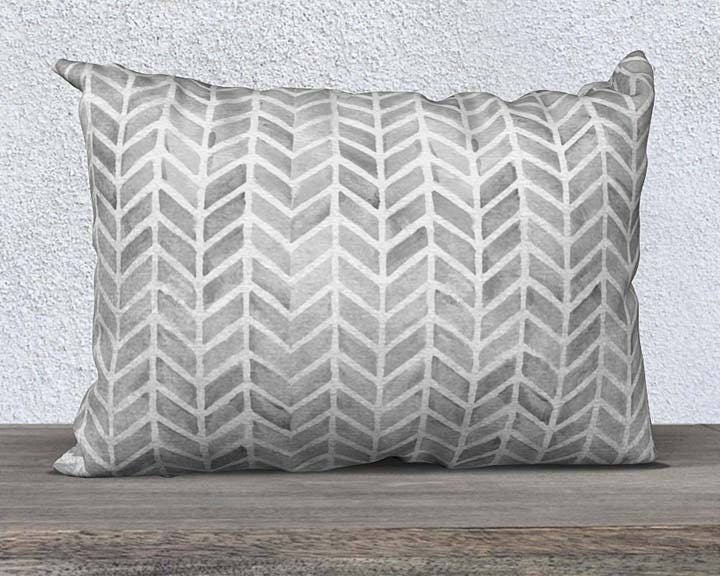 Gray Velvet Lumbar Pillow Cover with Arrow Pattern, 14"x20"
This gray decorative pillow cover is inspired by tribal arrow patterns and is created from my original watercolor painting. I love how modern digital printing can capture all the nuances of the original painting. 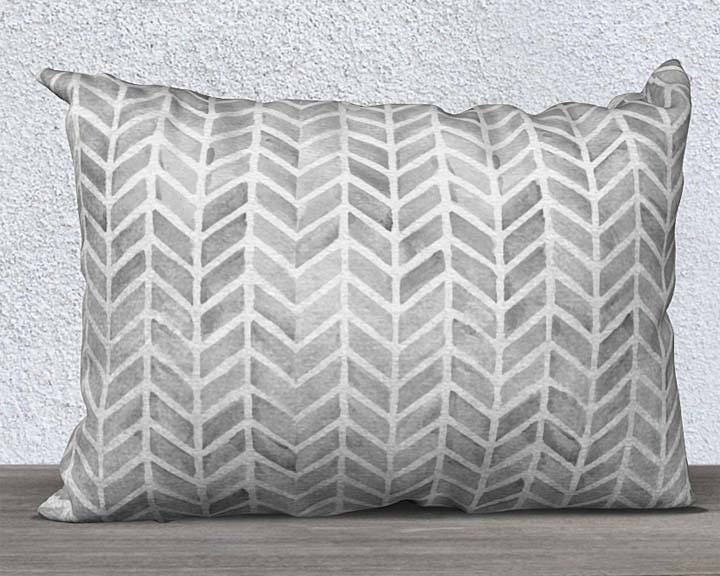 This pillow is digitally printed, cut and sewn using a very cozy, high quality velveteen fabric. You will love the luxurious and cozy texture. A very low nap- just super soft.